At BubblesU, we believe that sharing stories is the most powerful way we can connect with our children. When you share a story, you are taken on exciting, amazing adventures to new places and wonderful experiences - together. BubblesU.com offers a fully personalized experience for children, making them the protagonist of the story. This allows them to seamlessly navigate topics while being entertained and immersed in an exciting adventure. 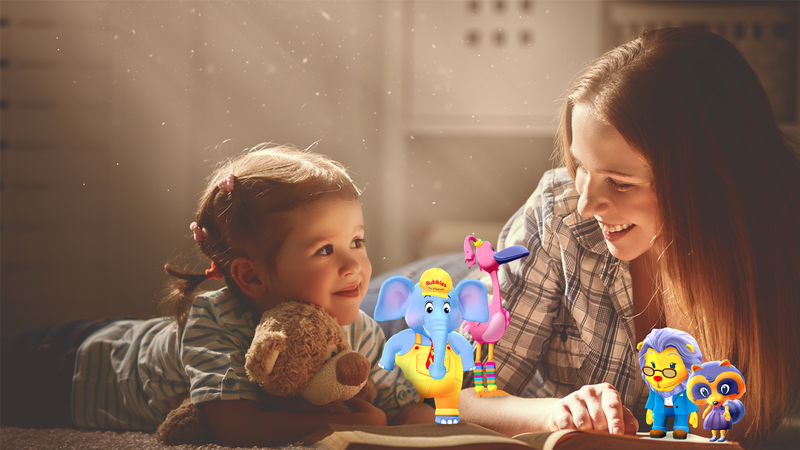 The extensive personalization and integration with the character’s increases the interpersonal relationship allowing the child to feel more connected and cope, ultimately lasting resonance as part of their reading experience. Our personalized stories are written especially for children about the topics that matter most. The first six years of life are the most expansive and critical for a child’s intellectual and emotional development. Our stories are crafted to help children make sense of the world. Each story helps entertains while advancing their developmental milestones - whether it’s being scared of the dark, making new friends or exploring ways in which they can be kind to others. BubblesU is developed by leading children educators, professionals, and highly caffeinated creators of story telling and fun. Inspired by The Learning Experience. For more than 30 years, the founders of The Learning Experience, the Weissman family, have been positively impacting the lives of children by developing and implementing ground-breaking care and early education programs throughout the country. We are excited for the next chapter in our story.